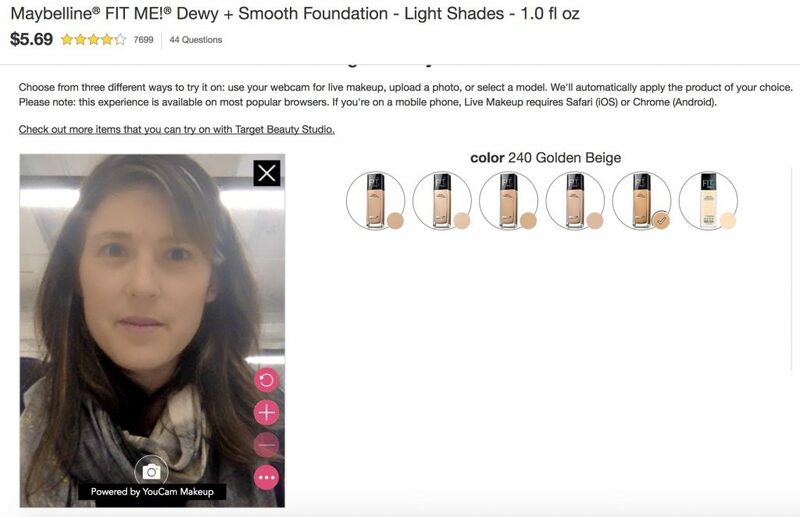 Here's what happened when we tried Target's new AR Beauty Studio! I’m always a little hesitant to shop for make-up from home, because unless I’ve tried something on at a store, then waited to go home to order it, I have absolutely no idea how a certain color is going to look on me. Plus, even when I’m in the store, I’m not super keen on trying the samples. Ick. And really, places like Target and my favorite drug stores don’t often have them. So, it’s really the luck of the draw. 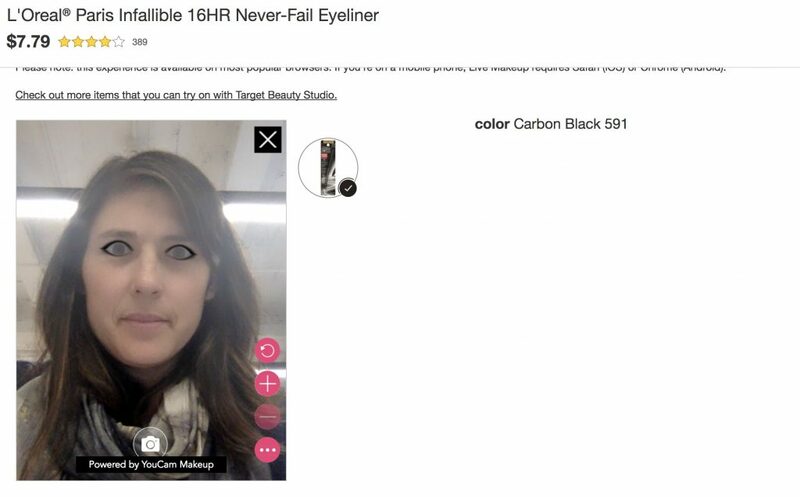 But that might change thanks to the new Target AR Beauty Studio. Related: The new Urban Decay lipstick app is so much fun! Their new Virtual Try-On feature allows you to actually try various products on from your computer or mobile device via their website. Currently, they’ve got about 88 products to choose from, including lipsticks, foundations, eyeliner, and more. You can choose to try it on a photo of yourself or a model, or you can actual use your camera to try it on “live.” Which I did. As you can see, the lipstick (above) is pretty handy, and in fact, I found a few colors I might never have tried in the store (and probably would not have been able to). But then, I tried the eyeliner and the foundation, and well, the photos speak for themselves. It’s okay, I can’t stop laughing either. 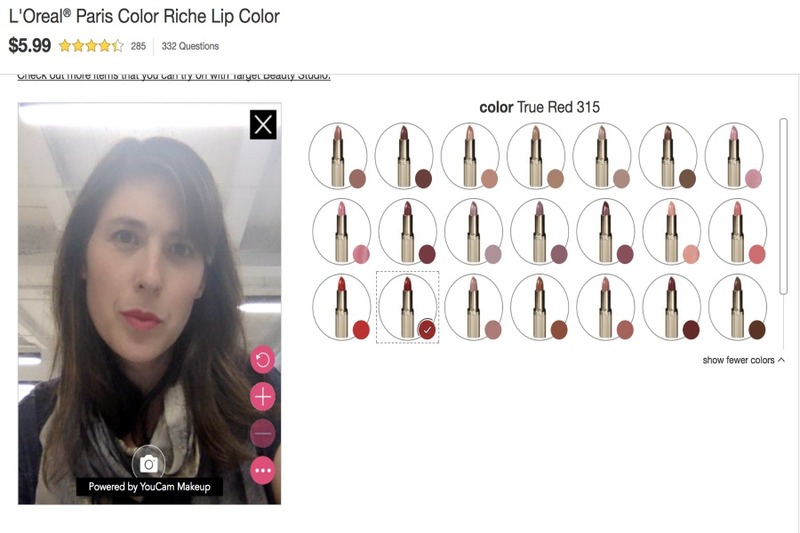 So, while I do appreciate the idea, and love the lipstick feature, it looks like the Target AR Beauty Studio does need a little more work in terms of fine tuning which products should be offered in this service, and which customers might just have to hope there are samples of in the store.